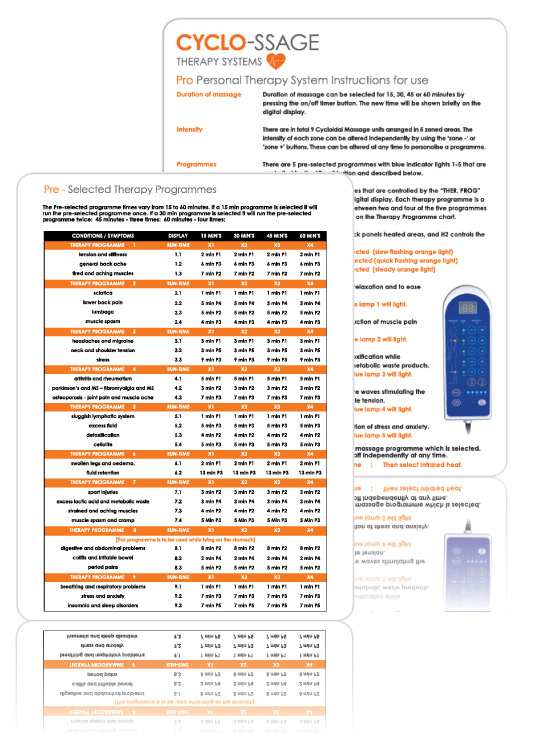 The secondary symptoms of Fibromyalgia can be alleviated with regular use of the Massage Therapy System providing a viable alternative to prescribed medication. Regular use of Cyclo-ssage will lessen brain fogging, relieve joint pain and stiffness. The immediate support and comfort that the Cyclo-ssage System offers allows enjoyable twice-daily treatments to be taken. Resulting in improved joint mobility, near pain free movement and on going ache relief. Increased energy levels and an elevation of mood will also be experienced due to the triggered release of endorphins, with absolutely no side effects. Cyclo-ssage has been shown to be one of the most beneficial complementary treatments in alleviating the secondary symptoms of Fibromyalgia. Helping to avoid the obvious complications of continuous medication. 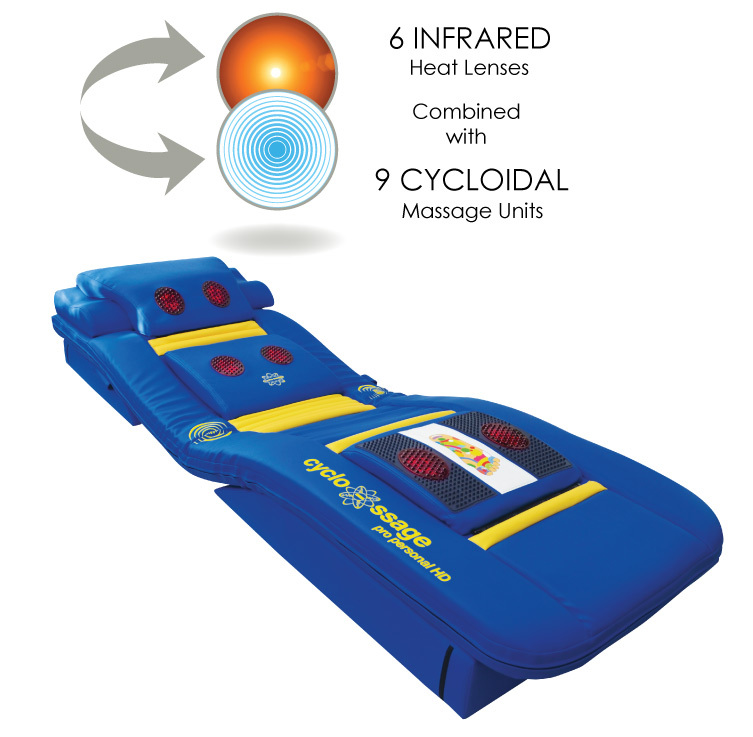 The Cyclo-ssage massage therapy system is an approved medical device manufactured to the highest standards.